We’re looking for nail and beauty lovers to write for the site. Are you interested? If you’d like to write a guest article for us, and you’re content is of good quality, we’d love publish it! 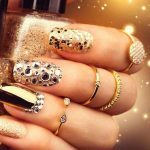 We maintain a high standard of quality on We Heart Nails, and guest articles are held to the same standards. Don’t be afraid to show personality. Have fun with your writing! Please keep the fluff to a minimum – if you can say the same thing in a shorter sentence, do it! No more than 2-3 sentences per paragraph. Readers prefer easily-digestible content. Our preferred minimum word count is 800, however, we are flexible with this depending on quality. Open with an introduction to who you are and what your article is about. End your article with a wrapping it up-style outro. You may add a link to your site anywhere in the article, and/or in your bio (no spammy sites, please). You may images and/or videos if you’d like. If not, we can source them for you. The decision is yours. Still Want To Be Published On We Heart Nails? Examples of any previous articles you’ve written. If you’ve already written the article – include it! HEY! I’M KARA . . . I own and operate this place. You probably don’t care to know too much about me, so I’ll keep this short and sweet. I’m a 20-something (don’t ask!) who worked as a nail tech before giving it up to blog full time. My goal with We Heart Nails simple: to use my first-hand experience running a nail salon to make nail salon product recommendations. If you have any questions or comments, you can email me at [email protected], or find me on social media. Check out the hottest manicure tables!